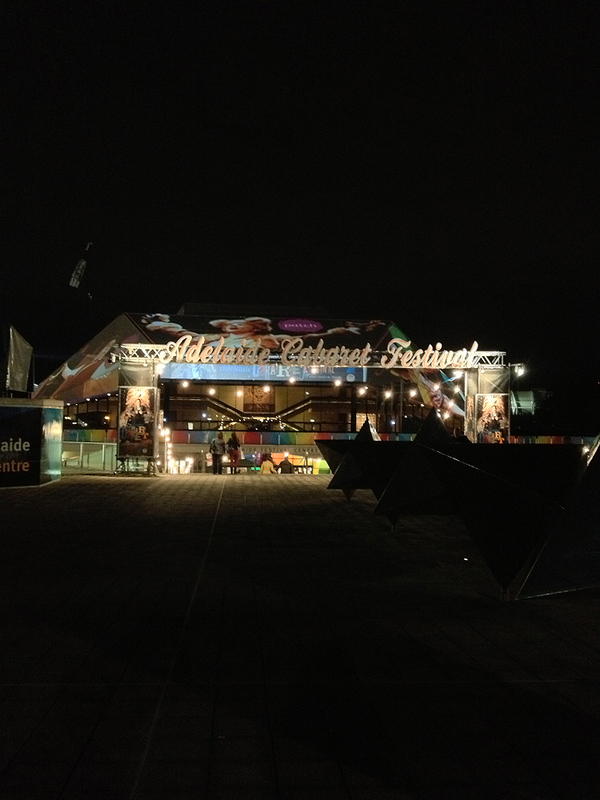 At the moment, in Adelaide, the Adelaide Cabaret Festival is happening! There are always so many shows that I want to go to at this time of year, but in the past few years I've not been able to afford to go along to many. This year, my friend and I decided to splurge on tickets to Kristin Chenoweth and boy am I glad we did! She was magnificent. The best show I've seen in a very long time. Her voice is beautiful and she is so funny. A rather dark photo of the Festival Theatre. In the past I've had requests from readers to see more of Adelaide...I guess this is a start? Ha. Photos, of course, aren't allowed in the theatre while the show is on but sometimes I like to snap one of the stage before the show. 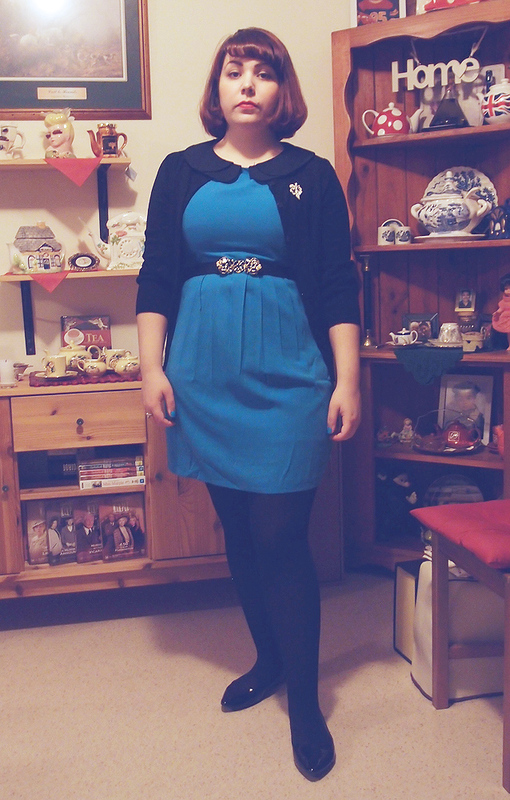 First: this was my 'none of my photos are working out and I'm unimpressed!' face. Secondly: this looks so much like all the photos I took of myself when I was 19 for Myspace. Ha. 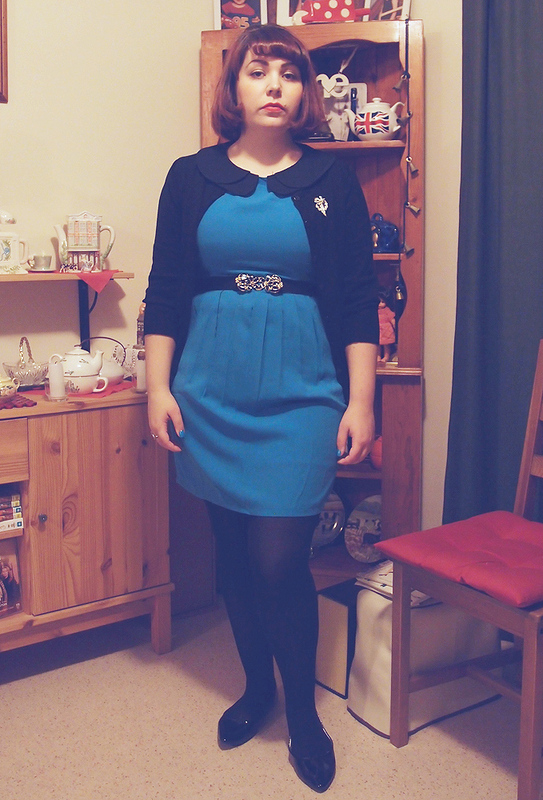 I wouldn't normally wear this to the theatre (I had to have my coat on my lap the entire time because the dress rode further up than I thought it would when I sat down, ha!) but my friend and I were going to go dancing after...then we were too tired. But we had a great time, anyway! Well, this photo is more or less the same as the one above it. Oops. And I got glasses! I don't need them all the time (mainly in low light, so they were great at the theatre) but I'm really happy with the frames I chose. 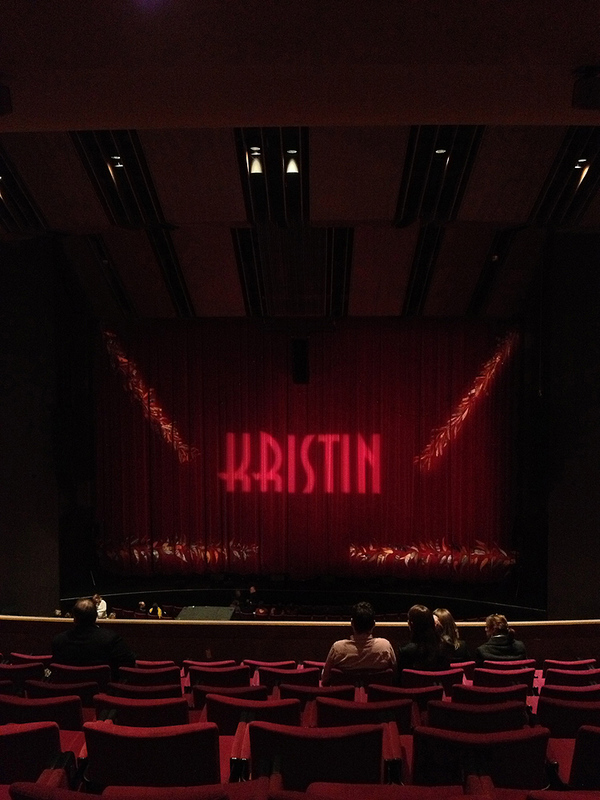 I wish I'd been able to see Idina Menzel as well but I'm glad that I managed to go see Kristin. I was only really familiar with her in Wicked and Pushing Daisies, but now I'm eager to familiarise myself with more of her career. Lovely glasses!!! 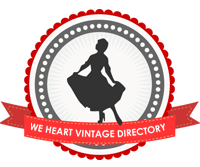 Have you thought about buying vintage frames? 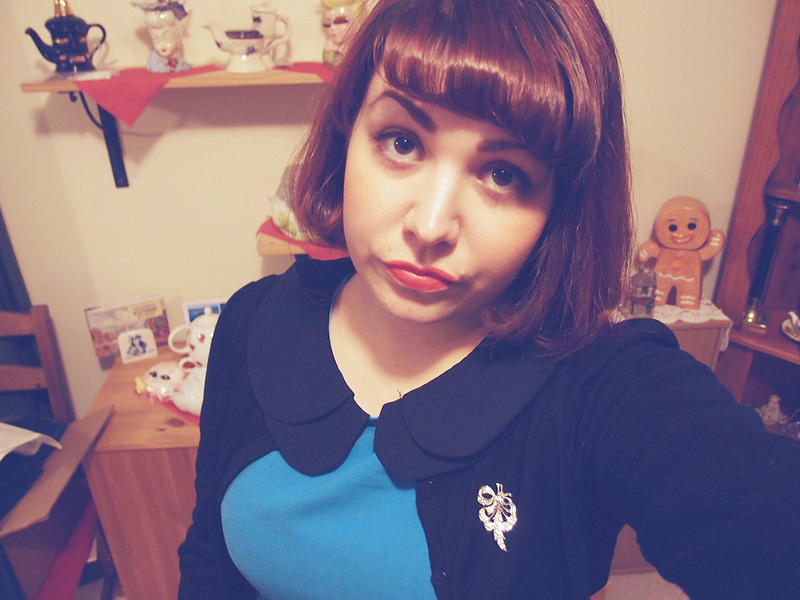 I love 50s cateyes glasses. Your eyebrows (and pouty lips) in the first photo are just too fabulous for words. Your glasses look adorable! I love the collar of that dress - the double layered look is so unique! I looooove herrrrrr!!!! That is so cool that she sang "For Good" with an audience member... I probably would've been bawling. That song always makes me misty anyway. I looove the new glasses! And Kristin Chenoweth is so gorgeous, I always think of her as Olive Snook, though! I can't help it! You look fab! I really think Peter Pan collars and you make for an awesome combination. So cute, fun and stylish! *PS* Love the new specs! 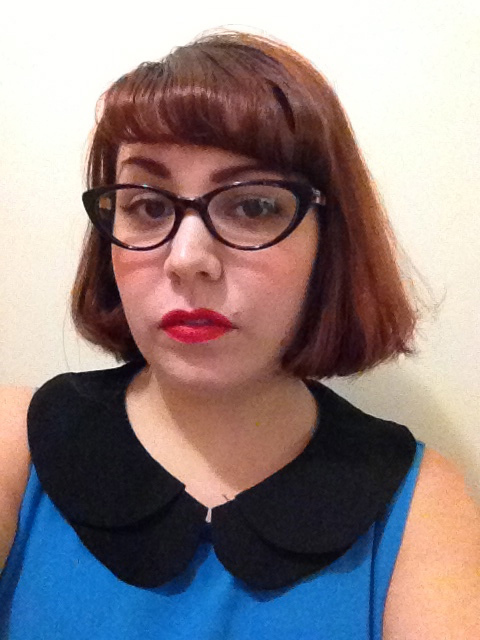 Whaaat... it's not just a peter pan collar, it's a DOUBLE peter pan collar. I can't even comprehend how much I love that.